Beyond ergonomic measurements, the study of human movements can help designers in exploring the rich, non-verbal communication of users’ perception of products. 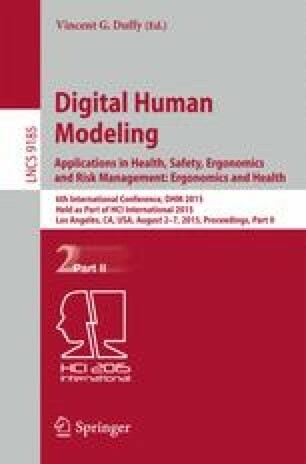 This paper explores the ability of human gestures to express subjective experiences and therefore, to inform the design process at its early stages. We will investigate the traditional techniques used in the Experience Design domain to observe human gestures, and propose a method to couple Experience-driven design approach with Motion Capture technique. This will allow integrating qualitative user observations with quantitative and measurable data. However, the richness of information that Motion Capture can retrieve is usually inaccessible for designers. This paper presents a method to visualize human motion data so that designers can make sense of them, and use them as the starting point for concept generation. The authors gratefully acknowledge the support of FCA Group and Design Innovation. We wish to sincerely thank Enrico Pisino and Giorgio Masoero (CRF), Carmelo Di Bartolo, Duccio Mauri, Filippo Lorini and Mark Salerno (Design Innovation) for their precious technical and methodological support to develop the case study. We also express our gratitude to Matteo Troiani for his contribution in processing the Motion Capture raw data.